Learn how to style an antique-inspired stripe with a contemporary geometric. 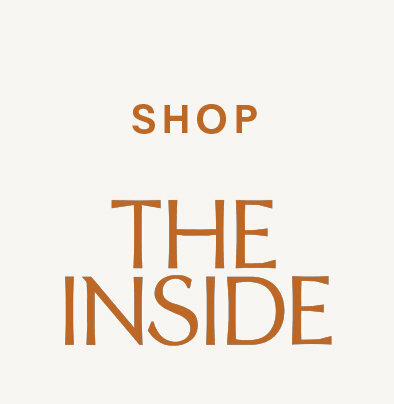 With 19 new fabrics layered into our assortment, 2019 has started off with a bang at The Inside. From the terracotta tones of our terrazzo-inspired Sperduti to the sweet and subtle details of Pink Faro by SF Girl By Bay, our additions represent a fresh and fun approach to the trends of the moment. Below, we're mixing the latest and greatest—colorful and linear cubes with antique-inspired ticking stripes (from our SF Girl By Bay collab). Which mix is your favorite? 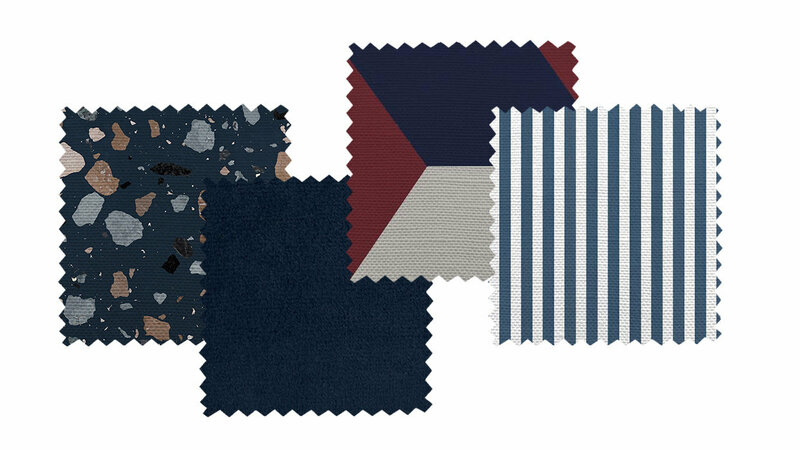 We love mixing with navy (it's our 2019 color pick! ), especially when we get to pair classic stripes with unexpected pops of red and terrazzo. 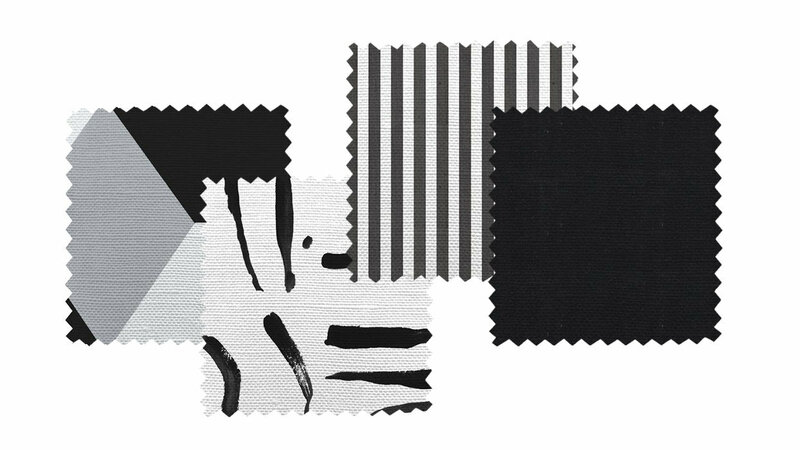 Black and white feels anything but boring when presented as a curated group of graphics. We love how the organic brushstrokes of White Sibyl contrast the sharp lines of Black Cube. 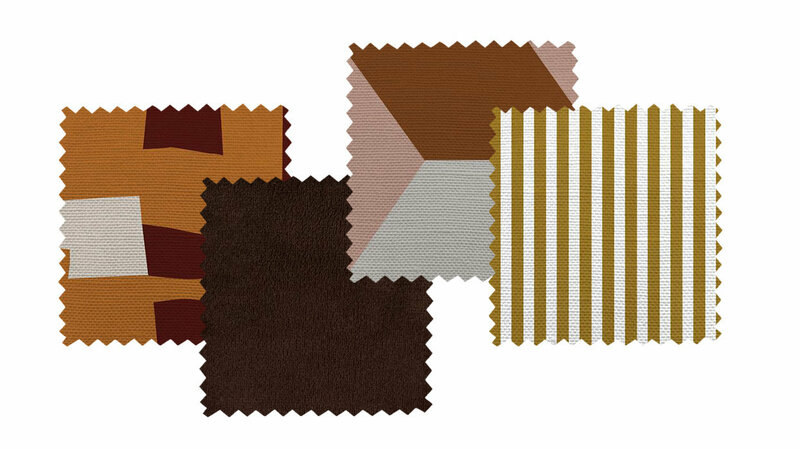 Featuring burnt orange and dusty copper, this retro mix speaks to the 70s trend. The tailored stripes and architectural cubes keep it crisp, while the velvet adds some rich texture.